The age old question, how to get deer to your feeder? Most deer are not used to seeing protein pellets. They must be trained to recognize them as food and to eat them out of a feeder. It is best to start a supplemental feeding program when typical food sources (farm crops, natural vegetation, new food plots or even acorns) are no longer in abundance, such as during winter or drought conditions. Corn is extremely low in the nutrients necessary to grow big antlers. In addition, corn can founder and even kill deer if too much is consumed at one time. 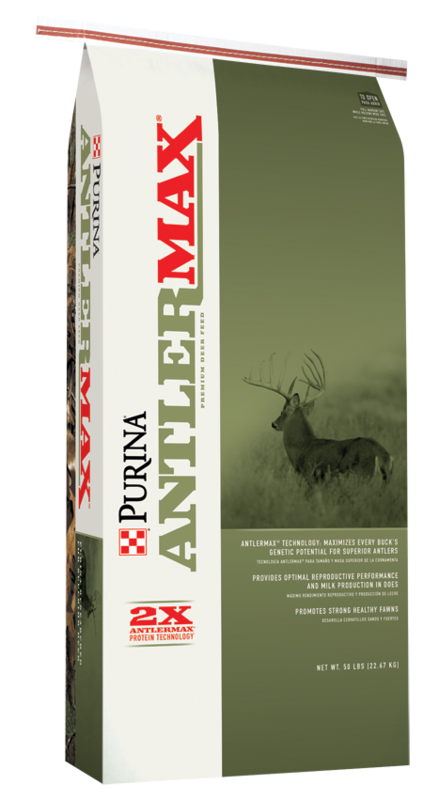 But when safely used in moderation, it is ideal for drawing deer to an area and training them to eat pellets. Set up a spin feeder to throw out 1-2 pounds of corn every 6 hours, or spread it by hand using gloves or a scoop to limit human scent. This safe amount will attract them to the area you want to feed. Be sure to have at least one feeding in the middle of the night. Continue this until deer are consistently coming to the area to eat every day. This may take several weeks, depending on deer density, time of year and availability of other foods. Once deer are eating corn out of the feeder for at least one week, change the self-feeder mixture to 1/3 Deer Chow® and 2/3 corn for at least a week so the deer can get accustomed to eating pellets. Make sure they clean up the pellets before replacing the mix. If they refuse to clean up the pellets, mix in more corn with the pellets. After deer are cleaning up the pellets, change the mixture to ½ Deer Chow® and ½ corn for at least one week. If they continue to sort out the corn and leave the pellets, keep mixing corn in but gradually reduce the amount of corn until they have access to only pellets. If the deer are consistently cleaning up the mixture and don’t leave any pellets, put 25 to 50 pounds of straight Deer Chow® in the free-choice feeder. NEVER fill a feeder full of pellets the first time regardless of its size – you need to leave room to mix in a little corn in case the deer regress a bit and stop eating pellets. When they are consistently eating pellets from the self-feeder, you may fill it completely with Deer Chow®. Stop by J&N Feed & Seed for your deer corn and deer feed. 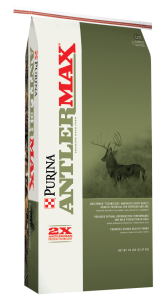 We sell quality deer feed from Purina Mills. Looking for bulk feed and delivery, we can set you up. Give us a call today.